A triumphant return by the author of Snow Falling on Cedars, as an attempted suicide becomes a life-enhancing diversion. Following the death of his wife Rachel and diagnosis of his own medical condition, Dr Ben Givens left his home in Seattle - heading east with his Winchester and hunting dogs in tow - not intending to return. It was to be a journey to the verges of the Columbia River, where he had entered the world and had decided he would now take his leave of it. What transpired was anything but the journey he anticipated. 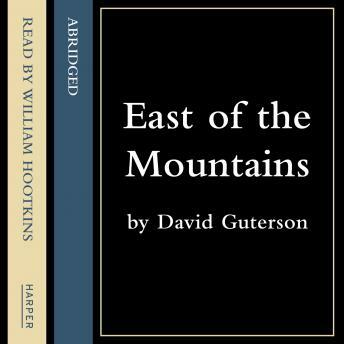 Instead, Ben's perspective shifts as his intended exit transforms into an eye-opening, life-enhancing diversion, as David Guterson's celebrated and involving prose unravels the mysteries and reveals the power of the human spirit even as it ebbs, in this moving and action-filled drama set against an unforgettable landscape.